Russian Bank Hit With Sanctions For Helping North Korea The U.S. Treasury Department announced Friday that it has put Agrosoyuz Commercial Bank on a blacklist, after it engaged in transactions that supported North Korea's arms program. The U.S. Treasury Department building in Washington announced Friday that is imposing sanctions on Russia's Agrosoyuz Commercial Bank. The Treasury Department slapped sanctions on a Russian bank on Friday, accusing it of processing transactions for North Korea in violation of United Nations sanctions. Agrosoyuz Commercial Bank knowingly facilitated "a significant transaction" on behalf of a person affiliated with North Korea's weapons of mass destruction, the agency said in a statement. The individual was named as Han Jang Su, the Moscow-based chief representative of North Korea's primary foreign exchange bank, the Foreign Trade Bank. The statement also detailed a long relationship between the Russian bank and North Korea. The bank held, processed and transferred millions of dollars for North Korea, despite sanctions which are meant to isolate it economically. Agrosoyuz also knowingly opened bank accounts for North Korean front companies, according to the Treasury Department. By 2018, the bank had allowed one front company to invest nearly $2.5 million in Russian rubles in an account. The government agency also singled out Ri Jong Won, the deputy representative of FTB in Moscow, and said that both men should be expelled from Russia under a U.N. resolution. "The United States will continue to enforce UN and U.S. sanctions and shut down illicit revenue streams to North Korea," Treasury Secretary Steven Mnuchin said. "Our sanctions will remain in place until we have achieved the final, fully-verified denuclearization of North Korea." The sanctions come as Secretary of State Mike Pompeo urges Southeast Asian countries to continue pressuring Pyongyang until North Korea gives up its nuclear weapons. But some analysts have voiced concern that the country may not have real intentions to disarm. "Commercial satellite imagery from June 21 indicates that improvements to the infrastructure at North Korea's Yongbyon Nuclear Scientific Research Center are continuing at a rapid pace," monitoring site 38 North said in June, days after President Trump met with North Korean leader Kim Jong Un. Intelligence agencies detected activity at a large factory on the outskirts of the capital where North Korea's first intercontinental ballistic missiles, capable of striking the United States, were produced. "The weapons factories — and there are hundreds of facilities in North Korea, we have to remember — are just continuing to do work as normal," Joby Warrick of The Washington Post told NPR. U.S. officials also told NBC that North Korea increased its fuel for nuclear weapons at several secret sites. It's unclear when Russia started supporting North Korea's nuclear and ballistic missile programs and to what extent. A study released in 2017 by the International Institute for Strategic Studies said North Korea's success with intercontinental ballistic missiles was made possible by black market purchases. Researcher Michael Elleman told NPR that it seemed that "criminal gangs were able to access something and export it from either Ukraine or Russia." The Wall Street Journal reported on Thursday that Russia is letting thousands of North Korean laborers into the country and giving them new permits to work. Congress is urging the Trump administration to tighten sanctions on Russia because of its inference in U.S. elections, activity in Syria and annexation of Crimea. On Thursday, Sen. Cory Gardner said he was putting forth a bipartisan sanctions package with Sens. Lindsey Graham, Ben Cardin, John McCain, Jeanne Shaheen and Bob Menendez. "It is one of the most hard-hitting pieces of legislation ever introduced against the Russian Federation," Gardner said. He added that the measure "includes my language requiring the State Department to determine whether Russia merits the designation of a State Sponsor of Terror, joining Kremlin allies Iran and Syria." 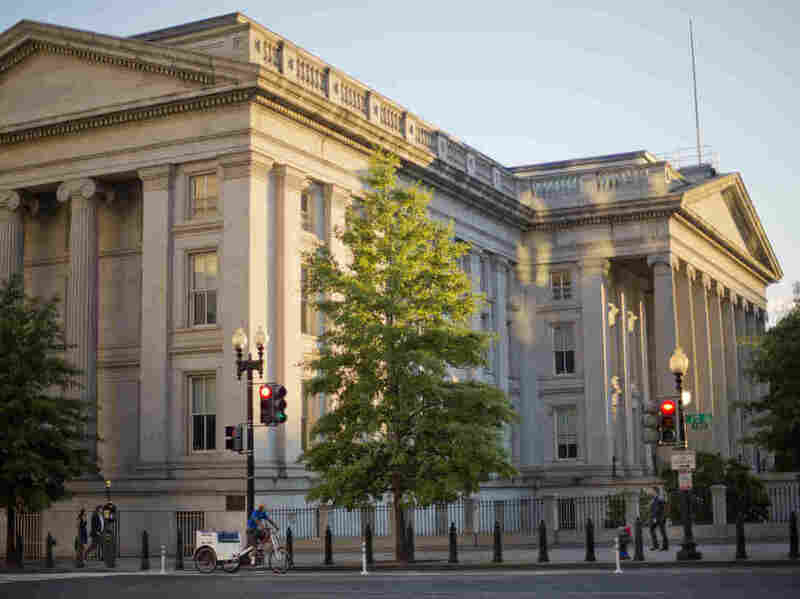 The Treasury Department also imposed sanctions on a China-based trading company, Dandong Zhongsheng Industry & Trade Co. Ltd., and Korea Ungum Corporation.